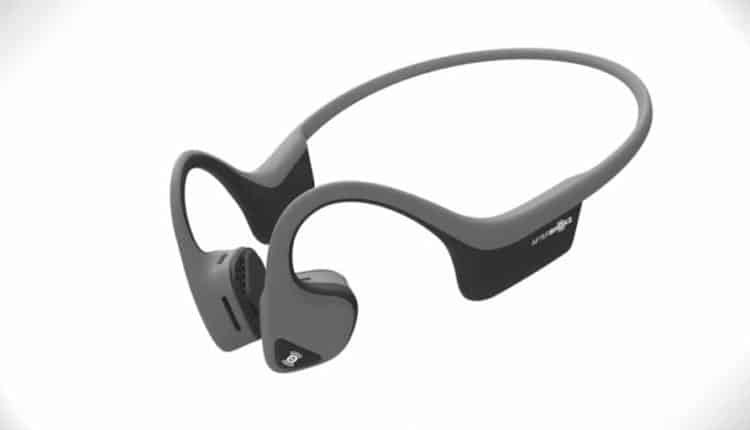 Aftershokz Trekz Air | Nerd Much? Nothing beats a great pair of headphones, and if you’re an audiophile who places a significant level of importance on audio quality, there are plenty of options out there. The problem, though, is that these options typically involve noise cancellation and isolation so that the world around you is entirely silent, allowing you to hear only your music. That’s certainly great for some situations, but what about working out outdoors or doing something outside? 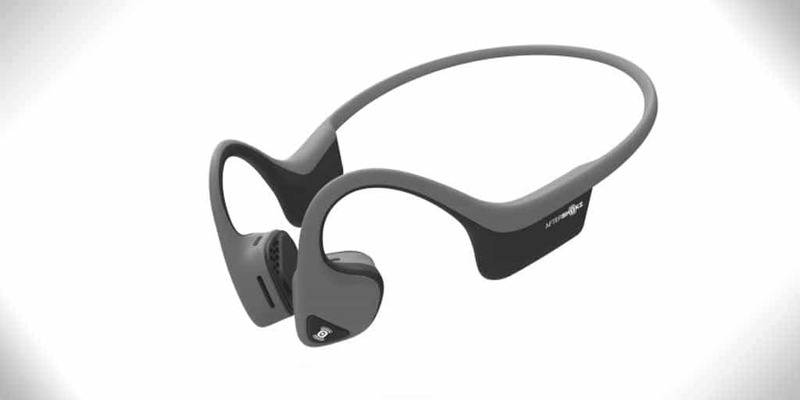 Enter Aftershokz Trekz’ bone conduction technology, and their newest line, the Trekz Air. We’ve been using the Trekz Titanium headset for quite some time, and they’ve proven useful over the past two years. Being able to listen to whatever you want to listen to without having to sacrifice awareness of your surroundings is a huge bonus, not only for outdoor workouts but also if you have kids and don’t want to drown them out entirely. In fact, I get the most use out of my Titanium headset when I’m doing household tasks like the dishes or cleaning out the garage; I’m able to listen to music (or podcast) while still being able to hear if anyone in my family needs me for anything. (Spoiler: they need me about every 5 minutes, it seems). Now, the Trekz Air, which is due to begin shipping this week, refines the Titanium headset by making it thinner, lighter, and more flexible. The Trekz Air are sweatproof and have a 6 hour battery. Right now, it’s only available in slate grey, but hopefully soon, we’ll see some new, less boring colors added (we’ve reached out to their PR rep to see if any other colors are in the pipeline and will let you know as soon as we do). You can pre-order a pair on the official Aftershokz website, and I’m sure we’ll see them on Amazon soon as well.